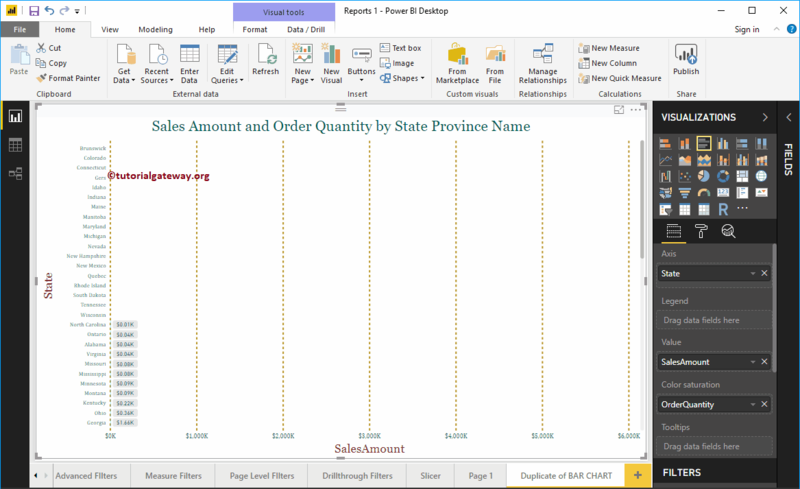 While you create a Power BI report, Power Bi will automatically hide the empty records. 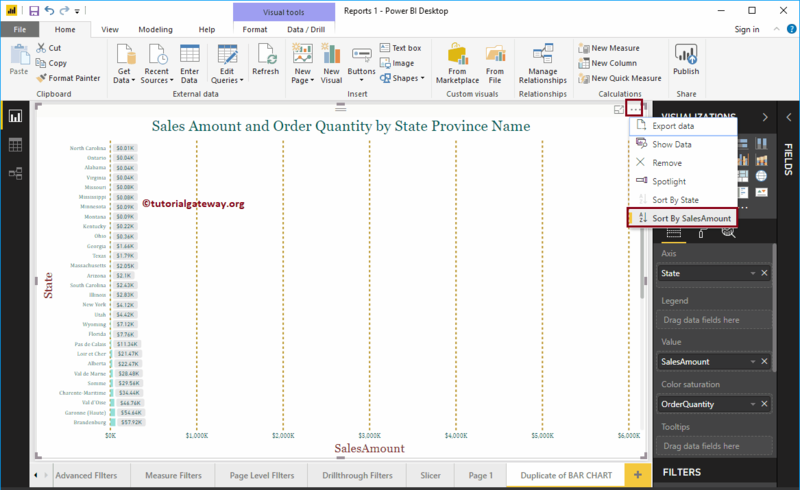 For example, when you create a report for state wise sales then it will hide all the states whose sales is empty. 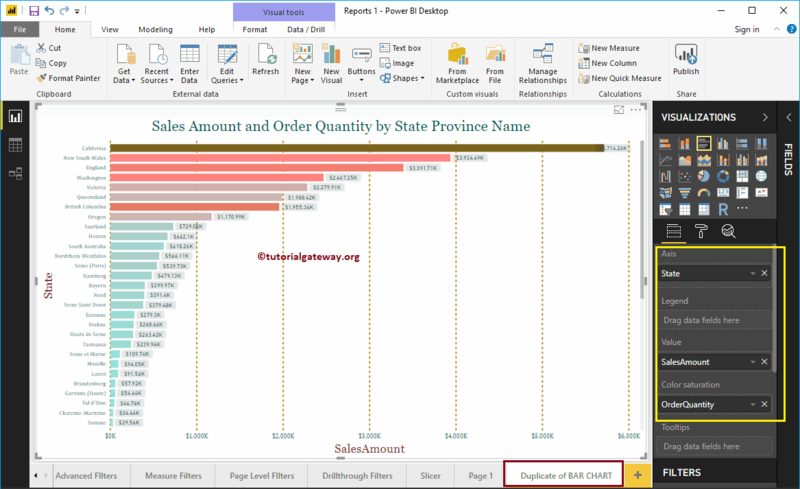 In this article, we will show you, How to Show Empty Records in a Power BI Report with an example. 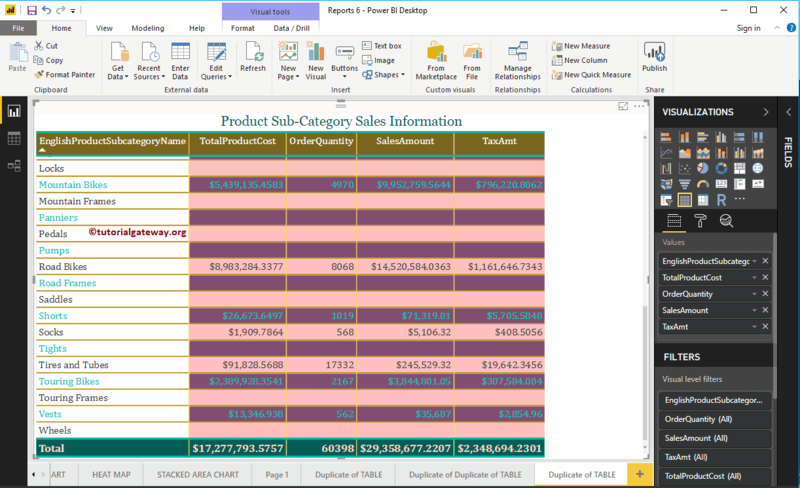 In this example, we are going to use a Table that we created in our earlier post. I suggest you to refer Create a Table article to understand the same. 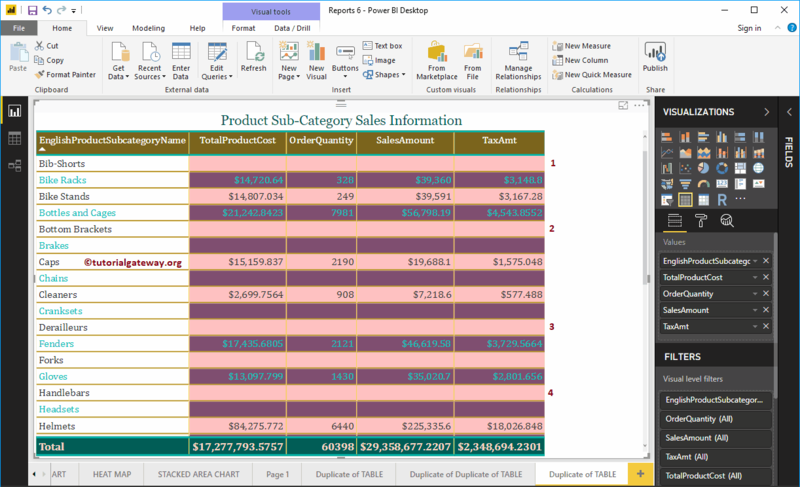 If you look at the table, it doesn’t have any Product Subcategory that has no sales. 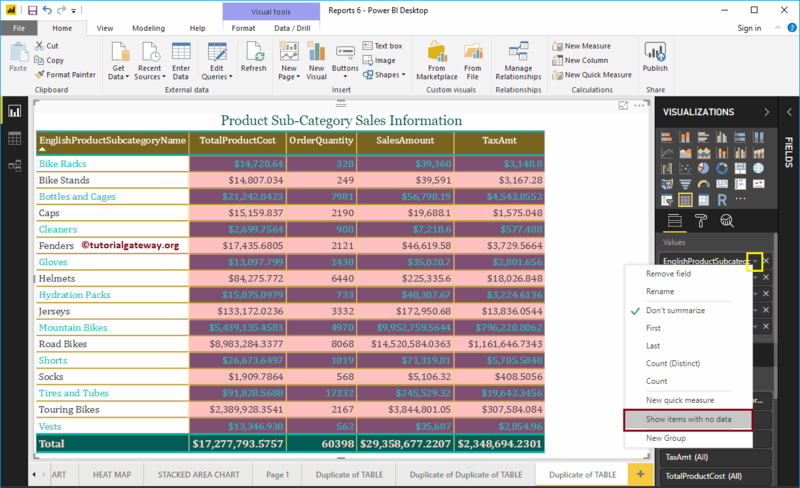 Click the Down arrow beside the Column (or field) will open the context menu. Please select Show items with no data option from the context menu. 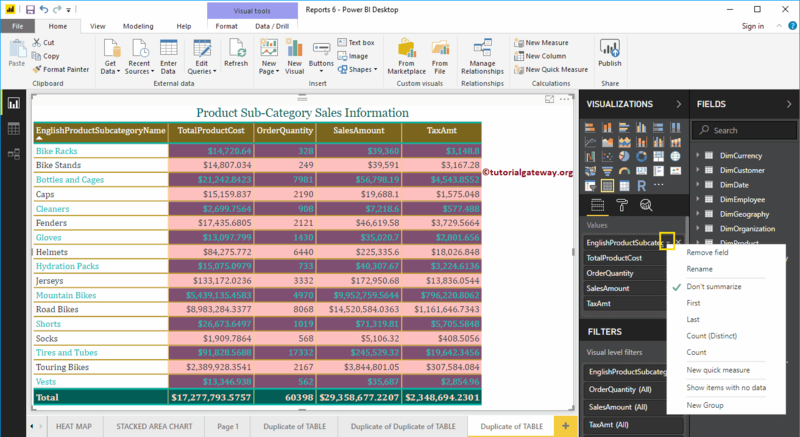 Now you can see the Product Subcategory with empty sales. 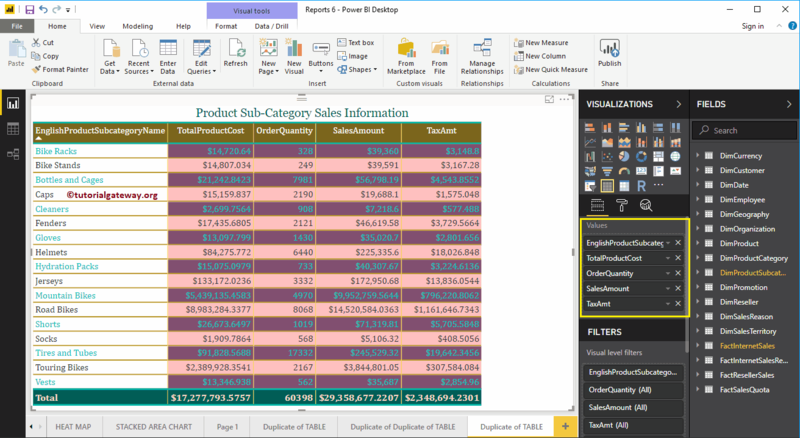 In this example, we are going to use a Bar Chart that we created before. I suggest you to refer Create a Bar Chart article to understand the same. Let me sort the chart by Sales Amount in Ascending order. If you look at the chart, it doesn’t have any State that has no sales. 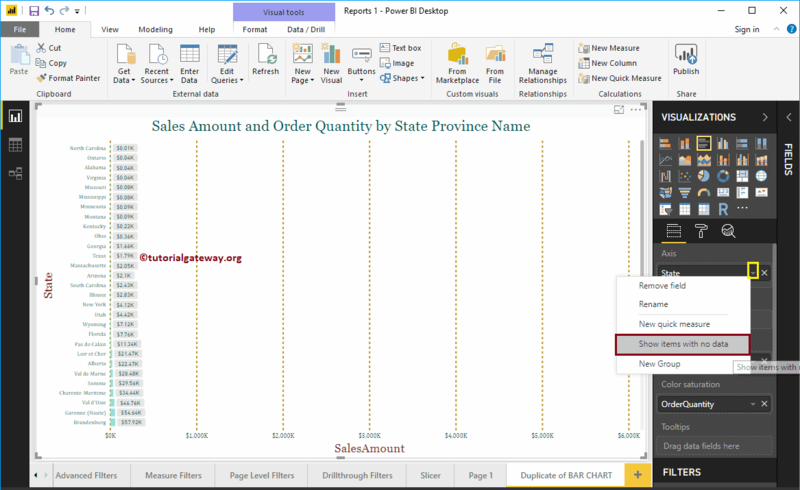 Click the Down arrow beside the State Column, and select Show items with no data option from the context menu.